UFC held the UFC 234 weigh-ins earlier today. All the fighters who are participating in tomorrow’s pay-per-view (PPV) event stepped on the scale which went down from the Rod Laver Arena in Melbourne, Australia. In the main headliner reigning 185-pound titleholder, Robert ‘The Reaper’ Whittaker will look to defend his title against Kelvin Gastelum. Both contenders are just coming off their assignments as opposing coaches on season 28 of (TUF). In the co-main headliner, Anderson Silva is making his Octagon return after nearly two years of hiatus against Israel Adesanya. After making weight, former UFC middleweight champion Anderson Silva and undefeated striker Israel Adesanya squared off one last time before their fight at ceremonial weigh-ins. Silva is an underdog for the third time in his storied career, and we don’t know if tomorrow’s contest will be his last considering his losing streak. 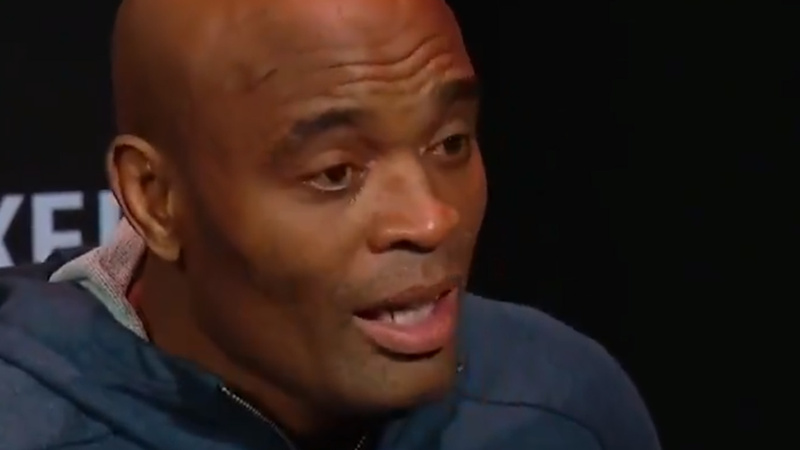 After his face-off, Silva delivered an emotional message for his fans. “Thank you guys,” said Silva (shown above courtesy of UFC). “I work my entire life for this sport. I try to do my best. I need to say thank you, God, for giving me one more time a great opportunity to give a great show for you guys. Spider 43, is still regarded as one of the greatest fighters of all time last fought back in 2017 where he picked up a questionable win over Derek Brunson at UFC 208. Dana White also said whoever emerges victoriously will get a crack at the 185-pound title. Meanwhile, Adesanya who’s riding high in his combat career was compared to Silva when he made his arrival in the UFC becomes little emotional too in his speech. What do you think how Adesanya and Silva fight will play out?